BDAC needs your help to get to Zanzibar!!! Each dollar is an investment! In August of 2010, Ebony Golden was introduced to Bi Aida and Mbaruk (Directors of Creative Solutions) by Tufara Muhammad at the Highlander Research and Education Center. During Cultural Workers' Weekend, Bi Aida and Ebony talked about the possibility of community cultural arts residency at their Creative Solutions school in Zanzibar. By the end of the weekend, Ebony was sure that this collaboration would be an awesome opportunity to learn and share art in community, while beginning an intentional and sustainable relationship with an international collaborator. This weekend, Project Zanzibar:: Cultural Arts Residency was born. Utilizing art and creativity, Project Zanzibar:: Cultural Arts Residency seeks to amplify the voices and creativity of young adults and women at Creative Solutions Resource Systems school located in Mangapwani, Zanzibar. The residency is a collaborative effort between Creative Solutions and Betty's Daughter Arts Collaborative, based in New York, NY. Creative Solutions Resource Systems is a non profit community learning center, located in the village of Mangapwani, approximately 27 kilometers from Zanzibar town and one kilometer from the beach. We are a grass roots organization providing access to education through both traditional and modern systems. CSRS strives to unleash the creative energy within each individual through participatory workshops, classes and demonstrations. CSRS is committed to the philosophy of creating solutions through self-help. Betty's Daughter Arts Collaborative, LLC is a cultural arts direct action group that inspires, enlivens, and incites justice and transformation of individuals and communities through creativity, healing arts practices and radical expressiveness. Betty's Daughter Arts Collaborative envisions a world where cultural and artistic practice envelops and sustains wellness and justice movements for individuals and communities. 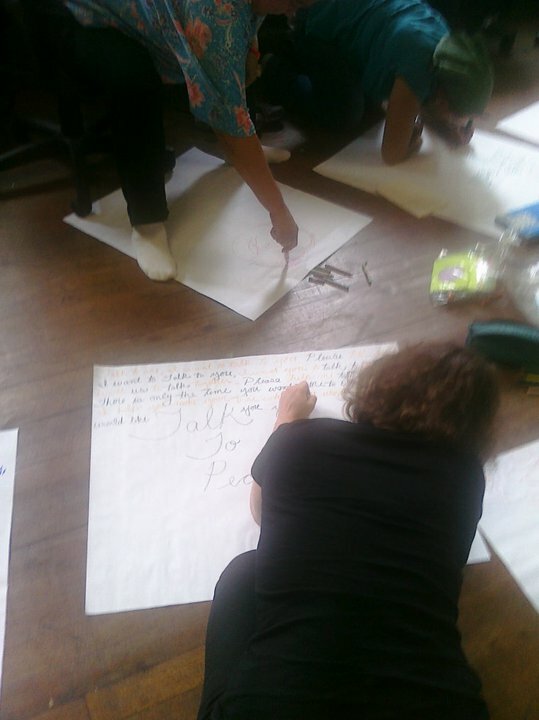 Betty's Daughter Arts collaborative provides workshops, residencies, performances and consulting services to communities working for justice and transformation. Transformation: Creativity heals, transforms, liberates and enlivens individuals and communities. This experience will provide participants with tools they can use in their everyday lives to reflect, rejoice and renew through writing, performance, movement and meditation. Community Sustainability: Creativity is integral to building and sustaining community. The residency will provide participants with tools to investigate art and creativity as a practice for solving issues impacting local communities. Through creative visioning, action and reflection participants will experience movement from issue to resolution while at the same time building a tool kit to continue the forward movement for community sustainability and growth. Literacy: Creativity is directly linked to achievement in literacy and basic skills. Because arts practice supports the overall critical thinking skills of students, it is extremely important to find new and innovative approaches to getting students writing and thinking outside of books. Creativity helps students conceptualize and envision experiences that extend comprehension of texts and problem solving skills. The activities used in this residency will be useful to students as they work to achieve their educational goals. Creative Solutions is looking for ways to offer its students quality cultural arts programming. These costs, of course, are steep for a community school. Through our collaboration, Creative Solutions will have a month-long residency that it can use as a template for building and sustaining cultural arts programs throughout the year. Because BDAC is looking to its supporters to help fund this residency, Creative Solutions will not have to worry about payment for the services and use those funds to sustain other educational projects. 1. If this project does not happen, Creative Solutions quite possibly will not have intensive cultural arts programming for the month. 2. Participants will not have access to a transformative arts experience. 3. BDAC will not be able to begin its international arts initiative. BDAC Needs 2500.00 for the residency. Here is how it will be spent. Come to the going away party in Brooklyn July 16th. Come up with another way to help and let BDAC know!